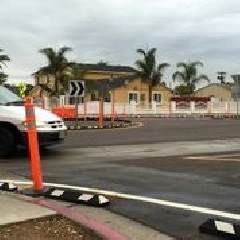 City of IB Requests Ideas on Improving 9th Street Roundabout before Council Meeting on March 18th! 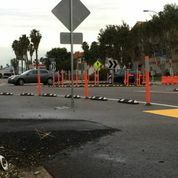 The Imperial Beach City Council will be discussing ways to improve the Roundabout on 9th Street at their next City Council Meeting on March 18th. The Council has requested ideas on the Roundabout be sent to them. You can email them to Andy Hall (ahall@imperialbeachca.gov), the City Manager or email them to DigImperialBeach@gmail.com and we will submit the ideas for you. When emailing, include your name and address along with your idea. Per Andy Hall, the City Manager, at this time they have not decided as to whether or not they will be opening up the topic for general discussion with the public. This is part of the reason why it is very important to submit your ideas ahead of time. The City Council Meeting will be held at 6pm on Wednesday March 18th at City Hall. City Council meetings are regularly held on the 1st and 3rd Wednesdays of each month. If no agenda is listed here, check back soon! The design of the newly installed roundabout at the intersection of 9th Street and Donax Avenue is intended to help the environment and driver convenience by reducing vehicles idling at street corners with 4-way stops, but do you know the rules of the roundabout? 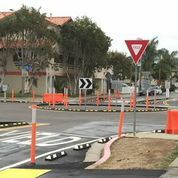 When approaching the intersection motor vehicle operators are required to slow down and yield the right of way to vehicles already in the roundabout, but not necessarily required to come to a stop unless necessary to continue safety. 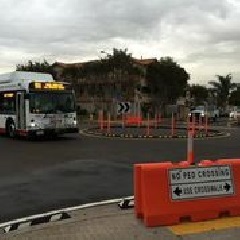 Once in the roundabout, drivers should slowly and cautiously proceed to their desired exit, being alert to others who may be entering into or proceeding within the roundabout. Bicyclists need to slowly and cautiously enter the roundabout just like motor vehicles and not use the crosswalks unless they are walking their bikes across the street; the motor vehicle rules apply to bicycles too. Pedestrians and skateboarders are not allowed in the roundabout, and should cautiously cross the street at the designated crosswalks located just outside of the roundabout, paying close attention to vehicles in the area. Whether in a vehicle, bicycle or as a pedestrian, it is always the individual's responsibility to proceed only in a safe manner, with caution, and to avoid any dangerous condition. 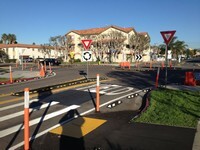 Approach the roundabout with caution yielding to nearby pedestrians and traffic in the roundabout. Drive slowly and cautiously within the roundabout. Bicycles follow the rules of the road and use the roundabout not crosswalks. Pedestrians and skateboarders must use the crosswalks to safely cross the street, keeping alert for nearby traffic.